Titanfall 2 has landed on Xbox One, Playstation 4, and PC, and has been met with high praise from critics and fans of the series alike. The game is centered around fast-paced parkour-style FPS gameplay, coupled with transitions into the massive mech suits (Titans) that can dish out heavy damage. Titanfall 2 also introduces a single-player campaign mode, a first for the series. Players will guide a pilot and their Titan companion through a vast story filled with breathtaking vistas, narrative driven characters, and impossible odds to overcome. The multiplayer returns better than ever with the additions of new guns, Tacticals, Ordinances, and Titans to make the series feel fresh and polished. The amount of fluid movement players will perform in-game is staggering. In fact, players will rarely be standing still, even in multiplayer or while sniping. Because of this high amount of movement, a SCUF Controller truly benefits a player’s abilities to perform in tense situations. Titanfall 2’s multiplayer gives you an incredible amount of customization options. Anything ranging from primary and secondary guns to Tacticals, Ordinances, and Titans is fair game for altering to meet player preference. SCUF Controllers with “EMR”, otherwise known as Electro-magnetic Remapping, are vital to making the most of each loadout. 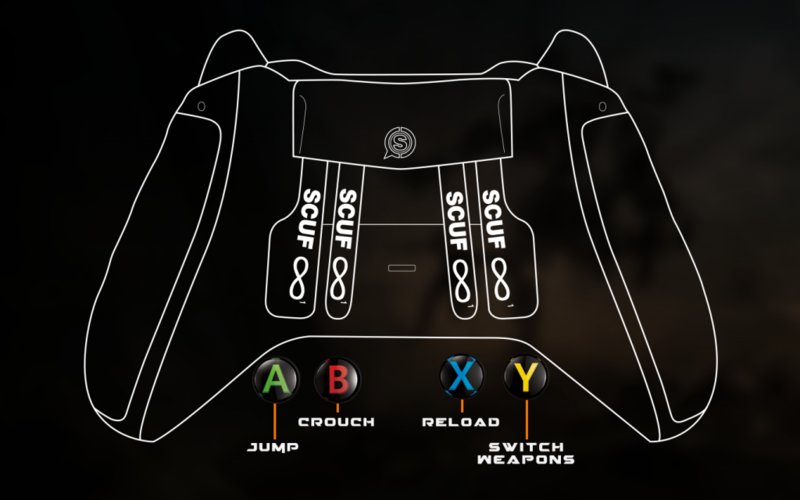 Below we’ll be giving our recommended paddle configurations for three different loadouts that worked for us in the Titanfall 2 multiplayer. Our go-to class for being in the heat of the action, running and gunning down opponents. • R-201 Assault Rifle: A gun that can kill just as efficiently over long distance as it can close up. • Charge Rifle: Can inflict serious damage to enemy Titans. • Phase Shift Tactical: Used to phase a pilot out of existence for a short time, allowing players to reposition, juke pursuing enemies, or sneak up close for a melee kill. • Ion Class Titan with Assault Chip and Warpfall: Perfect for fighting alongside a Titan rather than piloting it. The Assault Chip increases AI capabilities, allowing Pilots to take out enemies or capture points. 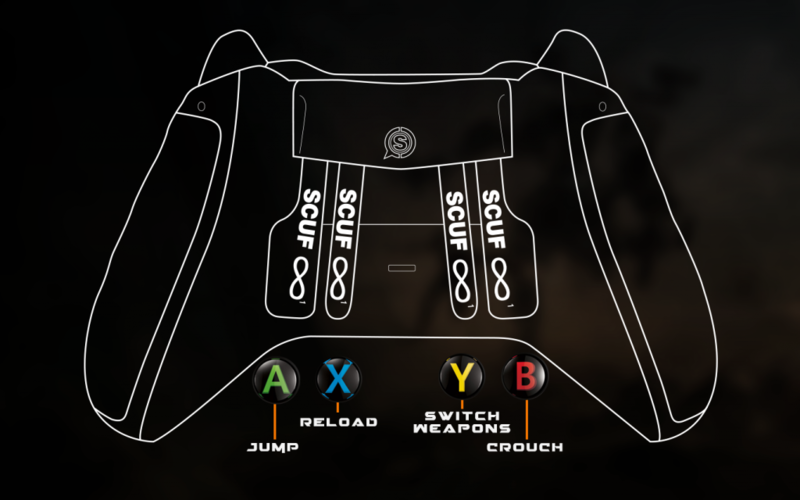 Our paddle configuration for this setup is the standard AXYB on Xbox ONE and X/O on Playstation 4. Experienced Titanfall players know that jump is the most used function, closely followed by sliding/crouching. Those functions will give players maximum mobility to cross the map at high speeds, quickly advance on an enemy, or even dodge incoming fire with high efficiency. Check out the diagrams below for our exact mapping layout. Sniping in Titanfall is difficult. Everything is working against the player. The game encourages constant mobility partnered with Tactical abilities that turn players invisible or increase movement speed, and there are bullet-drop effects when shooting over long distances making some shots very difficult to hit. 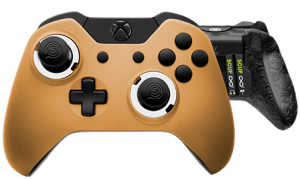 Despite all that, a SCUF controller has helped keep our KD above 1.0 when sniping in Titanfall 2. • Krager Sniper Rifle: A one-shot kill just about anywhere the enemy is hit. • RE-45 Auto Pistol: A gun that could rival some primaries in terms of kill potential. • Cloak: Allows for safe positioning, escaping enemy fire, and maneuvering around Titans. • Arc Grenades: Stuns both humans and Titans alike. • Tone Class Titan: Can deal massive damage at range with its 40MM Tracker Cannon and Guided Missiles. Can also launch a Sonar Lock to scout out enemy locations before sniping. Our Sniping setup requires less movement and more patience than the Assault class. As a result, we like running our paddles as ABXY on Xbox ONE and X/Triangle on Playstation 4. 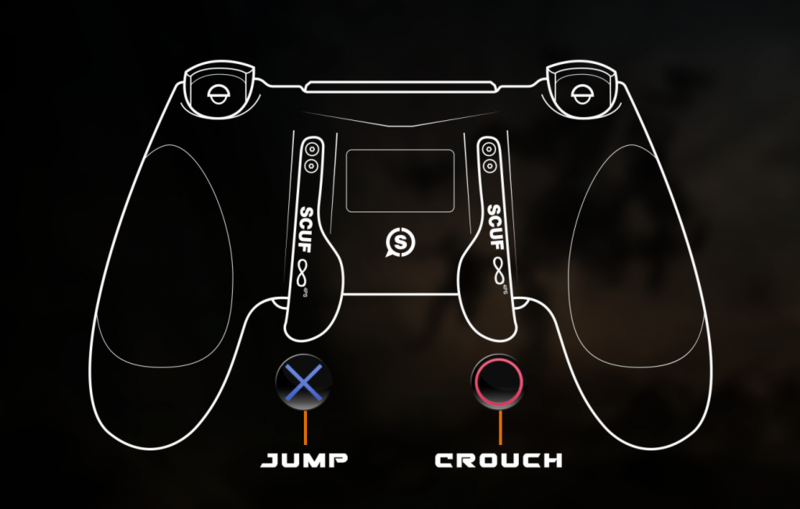 Jumping should always be mapped to a paddle on a SCUF in Titanfall 2. It’s essential in order to excel within the multiplayer. We chose the Swap Weapon function as our right paddle for emergency situations that call for the auto-pistol over the sniper rifle itself. 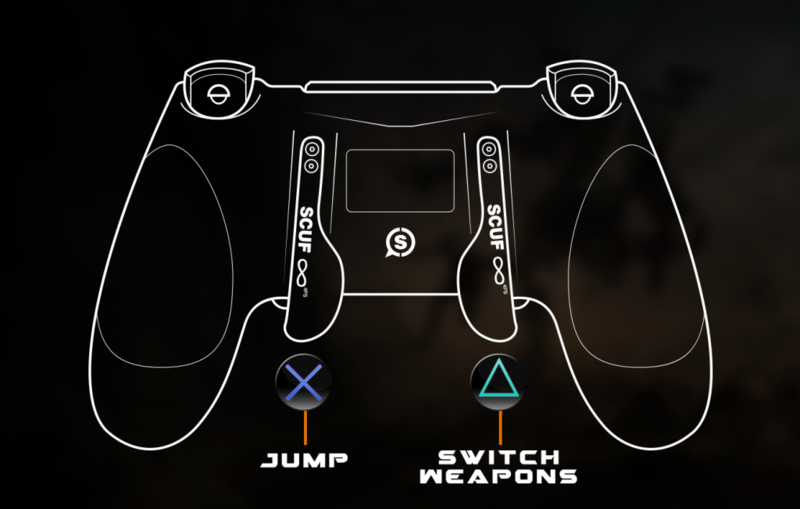 Those functions mapped to the paddles offer extra time to aim, wall-run, or swap weapons all without hindering sight or movement. Our third setup is based around the Spitfire LMG, but also functions nicely with the X-55 Devotion LMG. In Titanfall 2 LMGs are best utilized at mid to long ranges and while stationary to fully utilize the steady rate of fire and large magazines. • Scorch Class Titan: Large and slow, this Titan specializes in launching fire damage across the battlefield with its T-203 Thermite Launcher, and setting the ground (and anything on it) ablaze with the Incendiary Trap and Firewall. Despite this class being designed around being stationary and holding points, we still believe players should have the Jump function mapped to the left paddle. Mobility is crucial to every aspect of Titanfall 2 multiplayer, and not mapping it would be detrimental to any player’s KD. Our entire setup for this loadout is ABYX for Xbox ONE and X/Square on Playstation 4. LMGs have increased magazine sizes, and players will find themselves taking a few moments to make sure their weapon is reloaded and ready for the next onslaught. 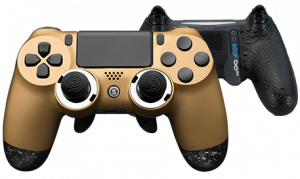 A SCUF offers the ability to maintain a steady aim, and ready-position, while reloading or wall-running the next choke point. These concepts are essential for proper LMG play as players will discover that high fire-rates are more manageable from a stationary position.